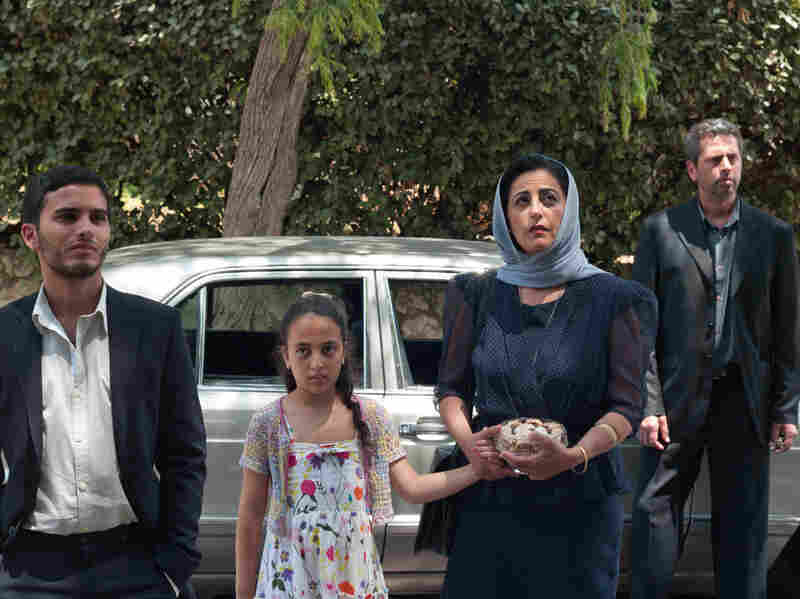 Movie Review - 'The Other Son' - Mothers' Love Transcends Security Checkpoints In The Other Son, two families — one Jewish, the other Palestinian — discover that their sons were switched at birth, raising questions of identity and familial bonds. As Ella Taylor explains, the film evokes the burden and intensity of its sometimes violent, always strained surroundings. What if you woke up one day to find that you were someone other than whom you thought you were? Upping the ante, what if that someone belonged to the tribe you'd been raised to think of as Enemy No. 1? No, it's not sci-fi, though more than once during The Other Son, a French-made tale of two teenagers — one Israeli, the other Palestinian — who were switched at birth, I found myself wondering if this good-hearted melodrama might have played better as runaway farce. In fact the director, Lorraine Levy, has a background in television comedy, and though the movie holds out occasional light relief, the prevailing tone is the hushed solemnity that often rules when morality and politics hover in the wings, bearing lessons. Joseph (Jules Sitruk), a mop-headed hipster from a comfortable Tel Aviv family, is rejected from service in an elite Israeli army unit when a test reveals that he is not the biological son of his parents, French-born physician Orith (Emmanuelle Devos) and military commander Alon (Pascal Elbe). After an anguished shuffle around the possibility of past infidelity, Joseph's parents are appalled to learn that Joseph was accidentally switched with a Palestinian baby during a panicked hospital evacuation in the 1991 Gulf War, when Iraqi SCUD missiles rained down on the city. 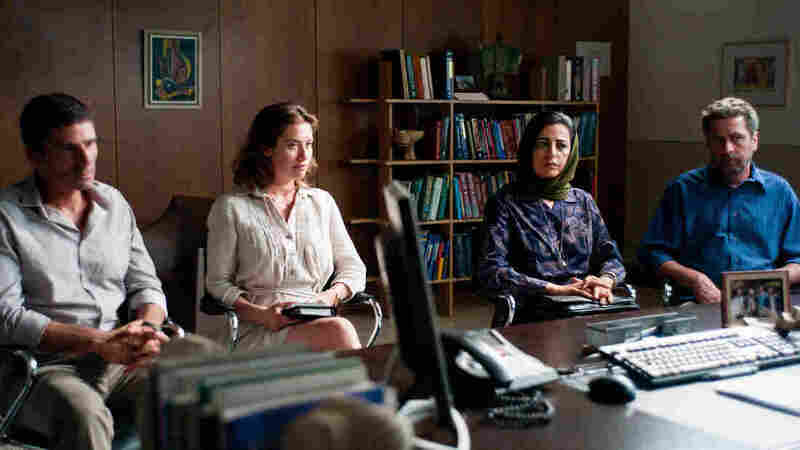 No less freaked out are Said (Khalifa Natour, who played a shy Egyptian musician in the excellent 2007 Israeli comedy The Band's Visit) and Leila (Areen Omari), a West Bank couple whose sunny-natured son Yacine (Mehdi Dehbi) is due back from pre-med studies in Paris. (Mahmood Shalabi delivers a terrific simmering fury as Yacine's elder brother, adrift in occupied territory with nothing to work on but his rage.) Levy handles the awkwardness of the two couples' first meeting with delicacy, and there's a wonderful scene in which the two fathers, struggling to move beyond their early outbursts of mutual hostility, wordlessly sip coffee in a Tel Aviv cafe. Silence is the best they can manage, and the film itself, riddled with heavy underlining and exclamation points, could stand to trust its audience a little more to get the general picture. The script, by Levy with Nathalie Saugeon and Noam Fitoussi, carries a leaden weight of exposition. Reacting to the news that he will have to convert, Joseph cries, "I'll have to trade my kippah for a suicide bomb." Stereotypes break down by gender: mothers are practical fence-menders; fathers and brothers are belligerent and quick to shoot from the hip. There's a lot of anguished gazing from scenic cliff tops. Joseph, who's musical like his birth father, bursts into song in Arabic at dinner to win the reluctant parent over. And the finale is all but scuppered by an atonal bit of violence that feels shoved in as prelude to a climactic group hug. Yet all this movie-of-the-week cheese is redeemed in a subtler key — by the largely unspoken yearning of the two mothers for the sons they never got to raise; in the two boys' intense curiosity about their other families; and in the ruefully ironic, yet increasingly cheerful bond that grows between them as they rejoice in the absurd possibilities opened up by their predicament. Levy's subject is the slippery nature of identity, forged at a particularly tense junction of genetic inheritance, culture and ideology. Sidestepping formal politics, she forces her characters into each other's worlds and lets them stew as they crisscross borders via checkpoints manned by soldiers more uncomprehending than cruel. Dwarfed by the massive security wall Israel has built around itself, at last the two families begin to emerge from the fortresses they have built within themselves. Sentimental? Certainly, but in a part of the world where hope and optimism haven't shown their faces in a long time, it's hard not to feel carried along by the generously conciliatory spirit that warms The Other Son, as it did The Band's Visit. Movies have rarely been known to change the world, but you never know.